Suitable for both interior and exterior repairs. Dries to a smooth but tough crack resistant sandable finish which may be painted, papered or stained. 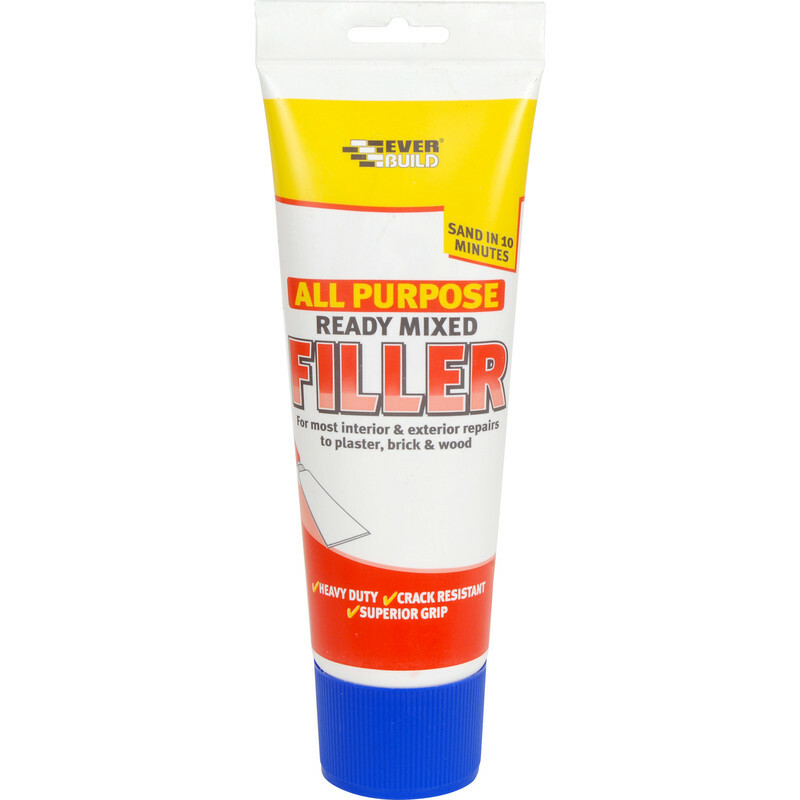 All Purpose Ready Mixed Filler 330g Tube is rated 4.4 out of 5 by 36. Rated 5 out of 5 by Al W from All purpose ready made filler Excellent produce and first class service from the Darlington store. Rated 5 out of 5 by PedallingPete from Surprisingly easy to use. Needed filler for missing cement under roof tiles which had allowed birds to nest in loft. Easy to apply and fixed problem. Rated 5 out of 5 by Chloe2019 from Genuinely the best filler I've used This stuff is excellent, especially for the price! It's smooth, sticks on well and is easy to use. It sands very well and isn't too tough to sand if you forget and accidentally leave it a few days (!) yet still feels super durable and like it'll last. I won't buy anything else in future, this stuff is great. Rated 5 out of 5 by Pete45 from As Good As Any Out There.. Used this for some time now . It fills well , sands well and lasts really well when in situ. Well priced, does what is required. Basically, just the job! 100% recommend. Rated 1 out of 5 by Anonymous from Avoid At All Costs! Used for filling in coving joints. Left overnight to dry. Absolutely rock hard and almost impossible to sand. Pay a little more and buy Polyfiller which is much easier to sand. I will not use again. Rated 5 out of 5 by Tricksville from Top filler Excellent filler. Easy application, easy sanding down & easy to paint over. Buy again, no probs.